The IU Southeast athletic department’s annual Champions Dinner, sponsored by the IU Southeast Alumni Association, was a tremendous success. The IU Southeast athletic department honored three student-athletes and raised more than $34,000 to benefit Grenadier student-athletes during the evening, which was held at Huber’s Orchard, Winery & Vineyards in Starlight, Ind. IU Southeast received generous contributions from 18 local businesses and numerous individuals. 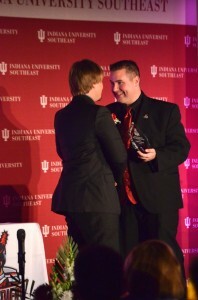 Senior second baseman Frank Pluskota, of Dyer, Ind., was honored as the IU Southeast Male Athlete of the Year. He set the IU Southeast single season record with 23 doubles during his senior season in 2014. The second baseman set career records with 213 games played and 65 doubles. He finishes his career ranked second in at-bats, third in hits, fourth in runs scored and tied for fifth for RBIs in school history. The Grenadiers finished the season with a record of 32-23. Frank made the KIAC All-Conference team in each of his four seasons as a Grenadier. Shelby Lucas was named Female Athlete of the Year. The freshman catcher from Columbus, Ind. was named the KIAC Softball Player of the Year, and helped lead the Grenadiers to a school-record 42 wins and third-straight KIAC Tournament Championship. Lucas ranked near the top among conference leaders in several statistical categories. She was first in hits (58), first in triples (10), fourth in batting average (.439), fifth in slugging percentage (.674), second in runs scored (40) and fifth in runs batted in (36) in the KIAC. She led the NAIA in triples with 10, and hit an impressive .472 during conference play. 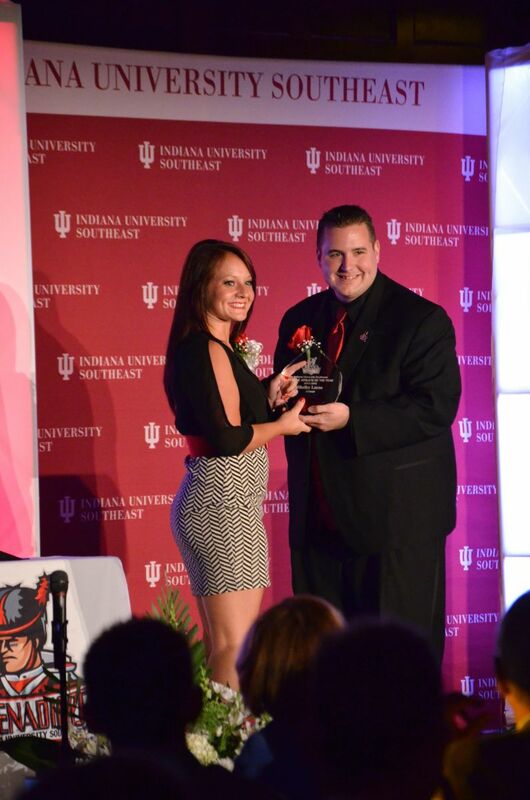 Brittney Coan was named the Jim Morris Champion of Character recipient. During the 2013-14 season Brittney helped keep the Grenadiers focused on their goals during a coaching change in September. Her senior leadership ensured the team did not miss a beat and won its 15th straight KIAC tournament championship in October. 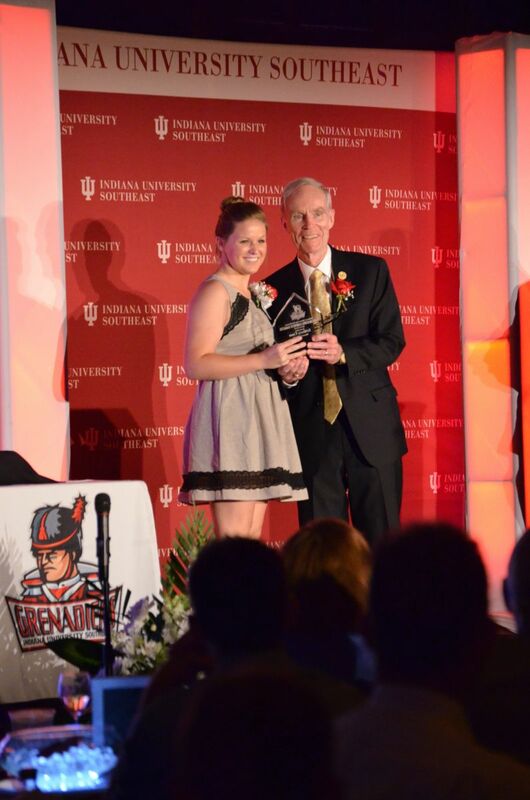 Brittney was also very close to longtime IU Southeast tennis coach Bill Ryall, who passed away in December 2013. Brittney embodies the high standard of character that Coach Ryall represented, and has been a tremendous ambassador for the tennis program throughout her collegiate career. Her leadership on the court and success in the classroom made her a fitting recipient of the night’s premier award. The Jim Morris Champion of Character award is given annually to a student-athlete who exemplifies strong moral character, sportsmanship and the core values of IU Southeast. Former IU Southeast men’s basketball coach and athletic director Jim Morris was in attendance for the event and gave the keynote speech before personally presenting Coan with the award named in his honor. In addition to the dinner and awards, the IU Southeast athletic department also remembered Bill Ryall with a tribute to the longtime coach who was instrumental to the program. Chancellor Ray Wallace spoke about the importance of college athletics programs and athletic aid. 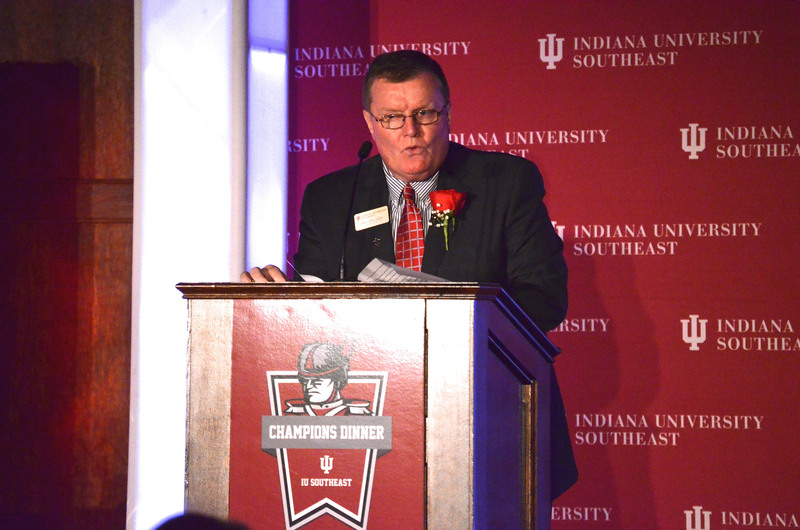 IU Southeast Chancellor Ray Wallace also spoke at the event, highlighting his experience as a student-athlete to promote the importance of collegiate athletics and athletic aid. 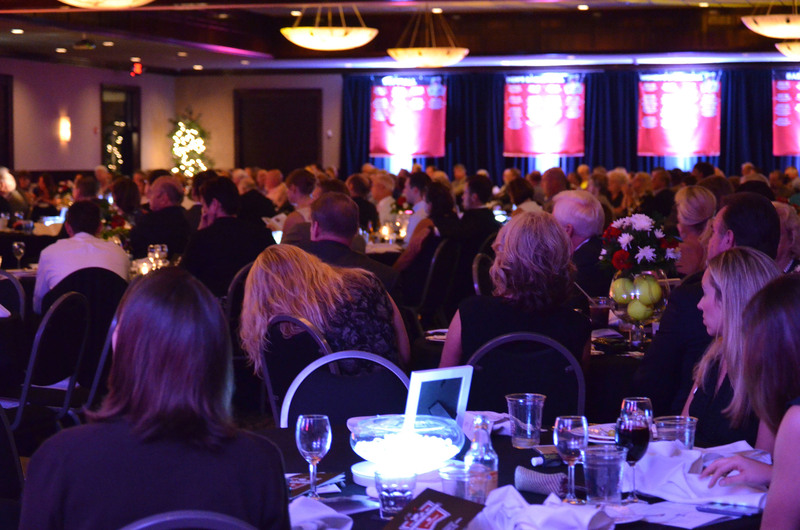 The Champions Dinner featured highlights and accomplishments from the 2013-14 athletic season in a highlight video which can be viewed here. Check the Champions Dinner website at www.ius.edu/champions for more information about next year’s dinner as it becomes available.